Suitable for in-foal mares and young stock up to two years old. 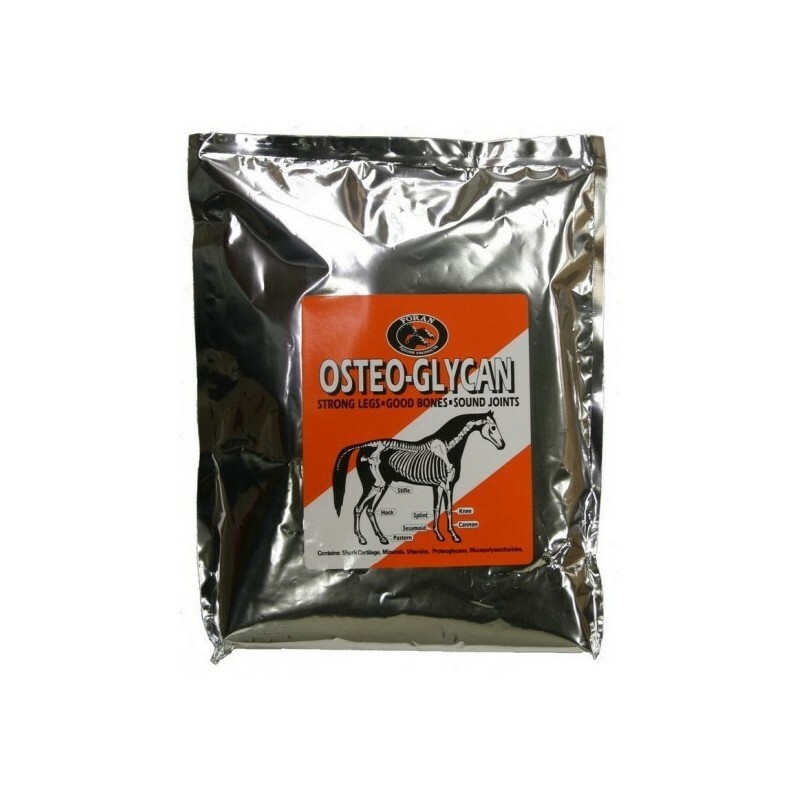 OSTEO-GLYCAN, superior bone and joint development supplement containing marine collagen "super food" along with organic silica and key minerals calcium, phosphorus, copper, zinc and magnesium to promote and support bone and joint development. Vitamin A is added to support collagen formation, a key component of bone and Vitamin D3 is added to enhance calcium absorption. In-Foal mares : On average, 65% of foal growth occurs during the last three months of pregnancy. 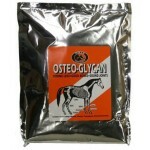 Provision of adequate nutrients to support this growth is simple when OSTEO-GLYCAN is added to the mare's ration. Young stock : The majority of bone calcium, bone density and cartilage are laid down in the first two years of a horse's life; OSTEO-GLYCAN supplementation provides a balanced nutritional supply to support this growth. Young horses entering training can be predisposed to skeletal injury by the tough physical demands. OSTEO-GLYCAN provides an excellent support to bones and joints, helping to minimise these risks. Instructions for use : To be mixed daily with feed.